Paper Pawz: Lawnscaping Challenge 110 - Color! 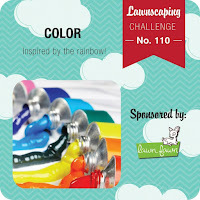 Lawnscaping Challenge 110 - Color! 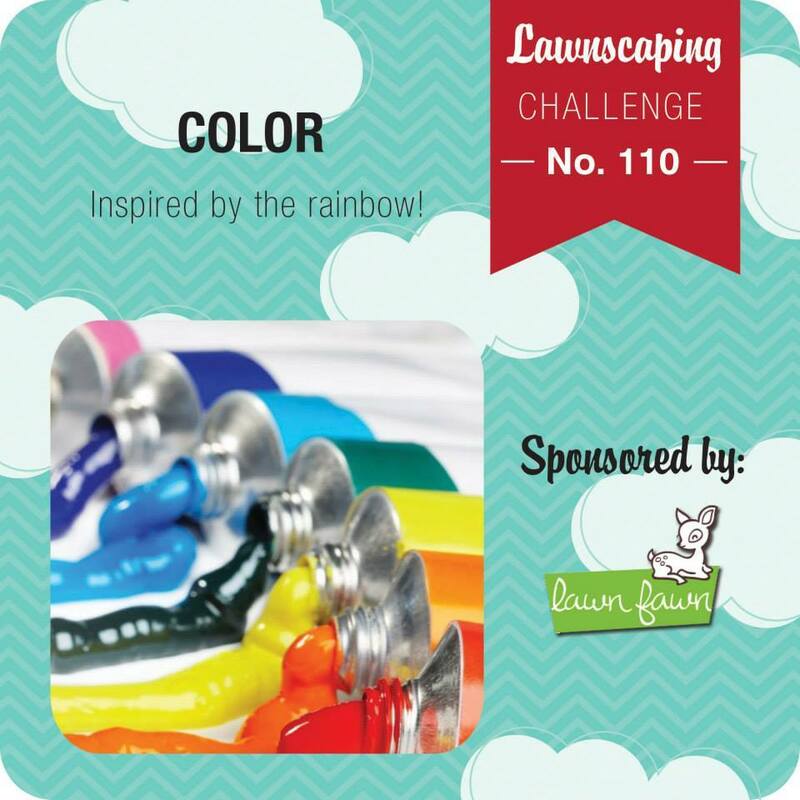 Who doesn't love a good rainbow, for this Lawnscaping Challenge - Color I couldn't think of a better Lawn Fawn set then the Color my World set! 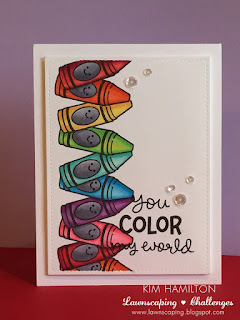 I just love the crayon and sentiment in this set. 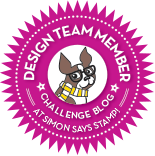 I missed the one Lawn Fawn designed for the Simon Says Stamp Stamptemeber. I was so excited with the release in the Spring! I cut a mask for the Crayon and just kept moving the mask and stamping! 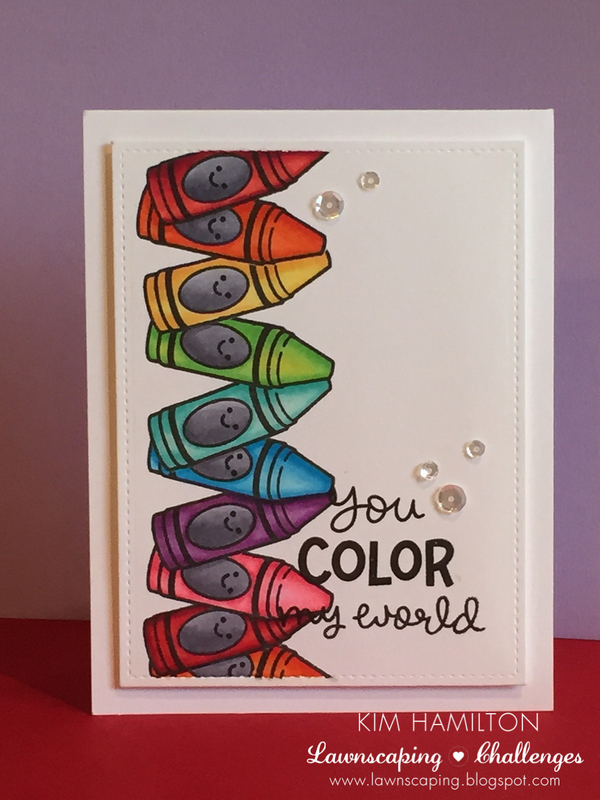 I Copic coloured all the crayons and added the happy face to them :) I used the clear Wink of Stella on all of them and added the sentiment from the same stamp set. Again, finished with Sparkling Clear PPP sequins! LAWN FAWN is the wonderful Sponsor for this Challenge, Woot! You could win Lawn Fawn stamp set of your choice! 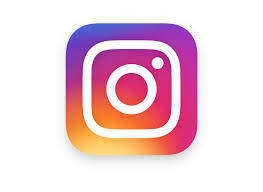 Lawnscaping Blog Hop - Deep Red! Lawnscaping Challenge 109 - Sparkle and Shine!